Things are getting out of control at a museum dedicated to a bestselling children’s book author in Springfield, Massachusetts. Mulberry Street was released in 1937 and the Museum only opened earlier this year. The three authors had just declined an invitation to the Museum’s first Children’s Literature Festival which was set for this Saturday before being canceled. The Museum offered to take the mural down to please the authors who conditioned their participation on its removal, but so far there is no word on whether the Festival will be back on. The mural might be removed, but it’s not necessarily going into the trash heap. 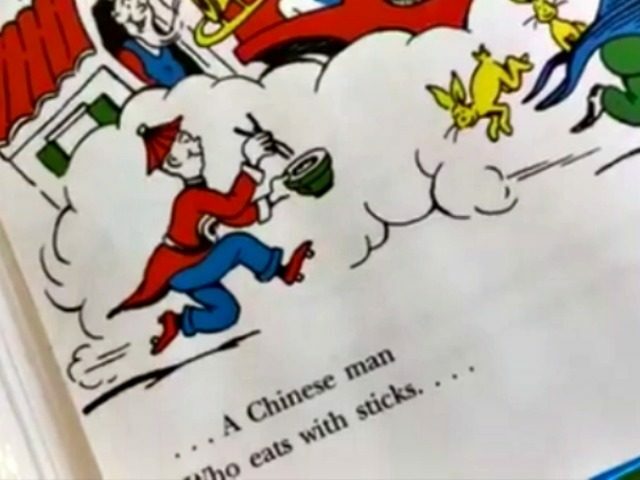 Dr. Seuss’ books were recently called “racist” by a librarian who was mostly just trying to insult Melania Trump.